Psychic Reading Home > Understanding Psychics > What is a psychic? We have all heard of psychics, but what are they really? A psychic is a person that posses an extra sensory perception power that enables them to acquire information and affect objects with Psycho Kinesis. There is a difference between psychics and mediums, because mediums obtain their information from the passed on through temporary trance possession, however psychics may possess mediumship abilities, and mediums may also possess psychic abilities. There are two ways psychics acquire their psychic powers. The first is that they are natural psychics, i.e. they were born with psychic powers which were most probably passed down to them from someone in their family tree. The second is the arising of psychic abilities through a suffering of a severe or life threatening experience that causes emotional and physical trauma. Any person can develop their psychic power with training and practice. However, with the opening up of psychic abilities comes the fear of the consequences of possessing and practicing. This is where psychics have to learn to overcome their fears and adjust their psychic life as normal life. The word ‘Psychics’ stands for the subject of psychics as well as its practitioners. It owes its origin to the Greek word ‘psyche’, which means soul, spirit, mind, and by extension the feelings, sentiments, emotions and thoughts. The nature and quality of mind, thoughts, feelings and emotions have a very profound impact on the mental and physical health and happiness of every human being. Psychics take the study of human mind or psyche to a higher, spiritual level. They include soul, spirit as the major area in the field of their study. While the soul or spirit of a person is very subtle and divine entity and cannot be palpably experienced by ordinary people, they do experience the impact of feelings, emotions, sentiments, and so on. It should be noted that the feelings, moods, emotions and sentiments are actually the palpable expressions of the soul or spirit working at various levels. This leads us to conclude that the study of psyche as a spiritual entity and its impact on human health and welfare is important. Knowing what psychics really mean is something that is always up for debate. Those who do not have the ability have a very objective interpretation of the subject. If one is curios on the true meaning of psychics, both in the context of the subject and the practitioner then it would be best to hear from all sides of the story. Having different perspectives from different people on how they see psychics can give someone a holistic understanding of the subject. This understanding can help someone know what change the power of psychic can make of his life. Psychics can see someone’s innermost thoughts and deepest feelings. This for some can mean touching the soul to get information but regardless of the doubts, the outcome provides someone the understanding on his thoughts and emotions. Aside from knowing and making someone understand his thoughts and feelings, psychics are also known to possess abilities that can see events from the past, present, and future. This is also what a psychic is. A psychic helps someone see what events had, having, and will be having a great impact on his life. More than understanding emotions and thoughts most are concern in lifting away doubts and regrets because of the things that had happened and will be happening. It is important for most to know what they can do to amend the situation and be able to live a better life. This is where psychic ability enters. Being a psychic means having the ability to help someone from a very non-traditional way. Some may be very skeptic about it. And it is not a wonder because being a psychic means having the ability that no science can explain. Science can study human emotions and thoughts and how they react to certain circumstances but psychic goes beyond that. Psychics are people who perceive information hidden or unseen from the natural or normal senses. They are people who have masterfully developed their extrasensory perception or ESP. Through the years, people who have the special gift or ability to know and see things which are unknown and unseen to others are believed to have intuitive or psychical aptitude. Here are some of the most important things to learn and understand about a psychic. It is important to know these things to finally bust common myths about them and reinforce the correct understanding and treatment of those with ESP. A psychic could not tell you in full precision and details regarding the future and anything that could happen in it. People who have trained and harnessed their psychical abilities who are genuine and authentic would not tell their clients they could see exactly what would occur in the future. The future is never defined and you create it as you move on with your life. If you seek help from the paranormal, they are only there to offer guidance and direction but never manipulate your decisions. A psychic is extremely sensitive and intuitive hence they could really sense things and energy. Everyone is actually born with intuitive aptitude. The difference between those with psychic abilities and ordinary people is that the former opted to hone his abilities and the rest ignore or not refined theirs. Psychics are not one and the same. Different people have varied backgrounds, point of view and experiences. Hence, they also differ in their interpretation of the things they perceive and see in their psychic readings. There are has been a lot of criticisms and biases against the world of paranormal. Hence, it is imperative to know what people with psychical abilities truly are and are not. 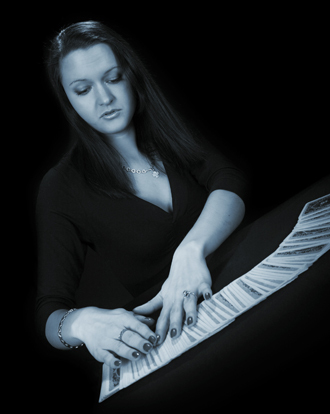 Our Professional Talented Psychic are waiting to help you thru a Psychic Reading.